Xherdan Shaqiri (£6.0m) claimed three Fantasy Premier League bonus points as his goal and assist helped Stoke City to a 3-1 win over Hull City. The Stoke midfielder also completed 85% of his 35 pass attempts to score 33 in the Bonus Points System (BPS), which was just enough to edge out team-mate Marko Arnautovic (£7.1m). Arnautovic matched Shaqiri's goal and assist and also completed three dribbles and supplied four key passes. His BPS total of 31 earned two additional points. Andrea Ranocchia (£4.5m) picked up the final bonus point on offer. Providing the assist for Harry Maguire's (£4.4m) consolation goal, the Hull City centre-back also contributed eight clearances, blocks and interceptions (CBI) and won three tackles. Arnautovic top-scored in the ICT Index with his third double-figure score in six Gameweeks. Awarded 14.6 in the overall Index, the Austrian scored 54 for Creativity, having created four goalscoring opportunities. With three shots on goal, all from inside the box, Arnautovic also registered 37 for Threat. But surprisingly Maguire top-scored for that metric with 55. He recorded four shots and enjoyed seven touches in the opposition penalty area. His overall Index score of 13.6 was his highest of the season. The double-digit hauls for both Shaqiri and Arnautovic underline their potential as end-of-season differentials. Saturday's 12-point return gave Arnautovic his third double-figure haul since Gameweek 21. 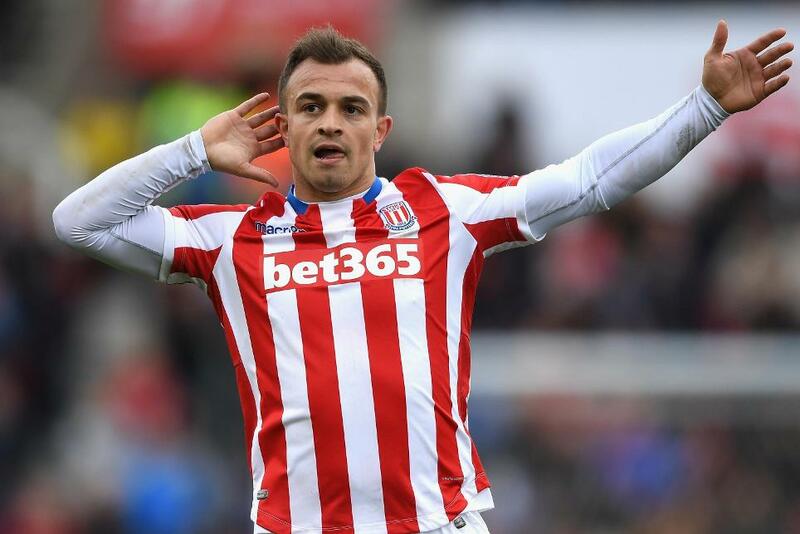 With Shaqiri owned by 2.9% and Arnautovic owned by 1.1%, the pair provide worthy targets over Stoke's next three fixtures, each of which score just two in the Fixture Difficulty Rankings (FDR). Those FPL managers planning their Wildcard for the extra fixtures in Gameweek 36 could, therefore, look to draft one of the pair for Gameweek 35 when the Potters host West Ham United. For Hull, Maguire and Ranocchia have stepped up their attacking output to cover for a continued lack of clean sheets. The Tigers are without a shutout over their last nine Gameweeks, but during that spell, Maguire has maintained his goal threat, scoring in successive Gameweeks. Ranocchia, meanwhile, has provided two goals and an assist over his last four Gameweek starts. Maguire's 11 shots on goal since Gameweek 25 is matched only by Leicester City's Robert Huth (£4.9m) and Liverpool's Joel Matip (£5.3m) among FPL defenders. Like the Stoke pair, Maguire could be seen as an effective pre-Wildcard differential ahead of a Gameweek 34 home meeting with Watford.